As the temperature drops, most people start unpacking winter clothing from storage and bundling up with hats, scarves, gloves, and coats to keep warm. It is common knowledge that certain animals as well as humans are not able to withstand extremely cold temperatures. So is it also necessary to cover horses in winter accessories? 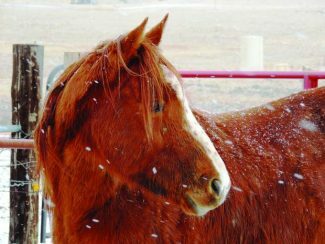 There are also a few significant differences between how cattle and horses deal with winter conditions, according to Dr. Crystal Gill, a practicing veterinarian at Gem City Veterinary Service in her home town of Laramie, WY. 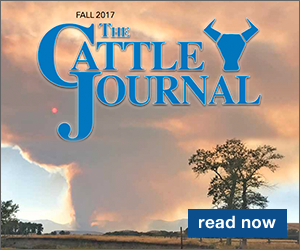 Cattle hold water longer, don't have colic issues and generally have the benefit of grouping together in a herd setting to conserve heat, she said. Dr. Gill said wind chill is an important factor to consider. She typically does not blanket her horses and said blanketing is not always necessary, but is dependent upon the horse's age, health and winter exercise routine. She advised, "Getting your horse out of the wind is the most important. Wind will cool your horse off and make it hard to maintain body temperature, especially with blowing snow." Dr. Gill adds that body condition is important during winter months and older horses, those with a body condition score of three or less and horses with health concerns may benefit from a blanket. It is important to understand how a horse's body regulates temperature and when a blanket is or is not necessary. According to Equine Surgeon and Professor at Washington State University Julie Cary (DVM, MS, DACVS), horses predominantly respond to winter weather through an increased hair coat. "An important component of the [horse's] hair coat change is that the longer, 'woolier' coat allows more air to be trapped, working the same way as a down coat does to keep you warm," says Dr. Cary. The second way horses manage their body temperature during winter months is by centralizing their blood flow to the core of their body and having less flow to their legs, according to Dr. Cary, therefore minimizing heat lost when blood flows near the skin surface in the horse's limbs. She describes this event by telling, "If you were to look at the typical horse on a winter day with a thermographic camera, their legs would hardly have any heat in them at all compared to the summer." However not all horses will regulate heat as well as others and may require additional winter protection. Dr. Cary states, "Older horses, very young horses (foals, especially) and horses with underlying health issues may not be as tolerant of cold weather. Frostbite is possible in horses and occurs most commonly in foals or weanlings." The most common site of frost bite in horses is the ears. Horse owners need to decide whether they want to promote or discourage their horse from growing its winter coat. For show and competitive horses especially, sleek, well-groomed coats are often preferred. Owners of these horses may choose to shave their horse's winter coat or try a combination of blanketing and lights that mimic long, summer daylight hours to prevent their horse from growing a winter coat – but without a longer coat, horses need additional protection from cold temperatures which may require blanketing. If a longer coat is acceptable for a show or competitive horse, extra precautions may need to be taken after a workout or event to keep hot, lathered horses from being chilled in cold, winter weather. Erika Kufahl, from Wheaton, KS, has been showing and competing in Three-Day Events (dressage, cross-country, and jumping) for the last eight years. She competes in events around the country with her Trakehner warmblood mare and keeps her show-ready in all types of weather conditions. Kufahl stated that she usually does not use a blanket in the winter and will let her mare's hair grow out but added, "If I work her hard in the winter, I will make sure to brush her out really well, walk her, and then put a blanket on her." When it is show time, Kufahl shared that blankets can come in handy to keep horses clean and ready for a big competition. Troy Brandemuehl was raised on working cattle and horse ranches and is now a PRCA steer wrestler and horse trainer from Douglas, WY. 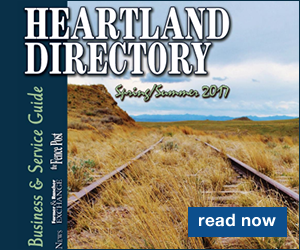 Brandemuehl competes around the country on his seven-year-old mare and trains a variety of horses. "I think blanketing can put more stress on a horse in the winter. 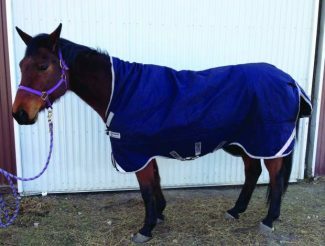 Temperatures fluctuate and if it snows and then warms up, or gets too hot during the day and the horse sweats, the blanket gets wet. Then if the owner forgets to take it off, the horse has a wet blanket in the cold which can cause more health problems. I only blanket if it gets really cold at night, but I always take them off during the day," he said. A horse's level of activity, health, age, and environment are all factors that play a role in the level of winter protection needed. If a horse owner decides to blanket, their horse will need to be carefully monitored. Dr. Cary reminds horse owners that blankets must fit the horse well, but even with a good fit, straps and blankets can get caught in brush or fences, legs can get stuck in straps if horses play, and some horses even like to chew or pull on other horse's blankets which can get very expensive to replace over time. Dr. Gill and Dr. Cary both agree that most healthy, adult horses can withstand "normal" winter temperatures.